A strategic lawsuit against public participation (SLAPP) is a lawsuit that is intended to censor, intimidate, and silence critics by burdening them with the cost of a legal defense until they abandon their criticism or opposition. In environmental conflicts we have seen that such suits are often used to silence activists denouncing social and environmental impacts of corporate activities. 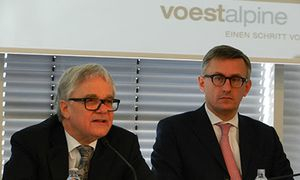 In a recent case in Austria, Voestalpine, the largest steel producer in Austria, netting 500 Million Euros a year, has recently launched a lawsuit of over 5 Million Euro against the Austrian environmental association (Umweltdachverband – UWD) and its honorary president Dr. Gerhard Heilingbrunner. This is a major threat to this non-profit organization and its president, aimed at silencing critical voices through massive costs by the legal expenses for the lawsuit. Why did such a large corporation raise a lawsuit against the Umweltdachverband? Let’s start at the beginning. Industrial production often goes hand in hand with resource intensive, environmental damaging processes. Therefore, industrial producers seek cost-effective solutions to deal with these negative side-effects, either during processing or when depositing wastes. In this case, the waste concerns LD-slag which, a by-product of the steel-making process. The Austrian federal environmental agency (Umweltdachverband) conducted analyses of LD-Slag used in road construction, and they found levels of chromium far beyond thresholds mentioned above, at around 2.200 to 3.800 mg/kg DM. Drafts of new building material regulations seem to account for this insofar, that they plan to raise thresholds up to 2.500 mg/kg DM for chromium, 700 mg/kg DM for copper, and 500 mg/kg DM for lead (all values refer to solid matter). There are also other concerns on the use of LD-Slags. The Austrian federal environmental agency discovered furthermore that Chrome and other heavy metals are leaching, but still within current thresholds. The Austrian Doctors for a Healthy Environment (AeGU) are critical of the use of chromium-containing matter, as up to the current state of knowledge they cannot dismiss potential health risks. However, there are as of yet no empirical studies that quantify the extent of potential harm through emissions from scoring of the demolition of heavy metals containing road layers. UWD now demands, based on the precautionary principle, that there is no further use of LD-slags in road construction until there are independent studies that prove no potential risks for humans and the environment. This demand lead to a 5 Million Euro SLAPP by Voestalpine, demanding that the Umweltdachverband immediately stop the “defamation”. The first hearings have already taken place, attended by a round table between Voestalpine and the UWD, where it was made clear that the wakeful eye of the UWD was absolutely justified and that they keep attention on this issue, according to Gerhard Heilingbrunner. Both parties are confident that a satisfactory solution for both sides is within reach, however, costs of the lawsuit have to be paid. What happens if NGOs or citizens don’t dare to raise their voices anymore, frightened by massive financial burdens through industry lawsuits? What happens if other corporations follow the example of Voestalpine and million Euro lawsuits become a popular method against NGO’s and EJO’s? Another article on the use of a SLAPP against an EJOLT partner is here.